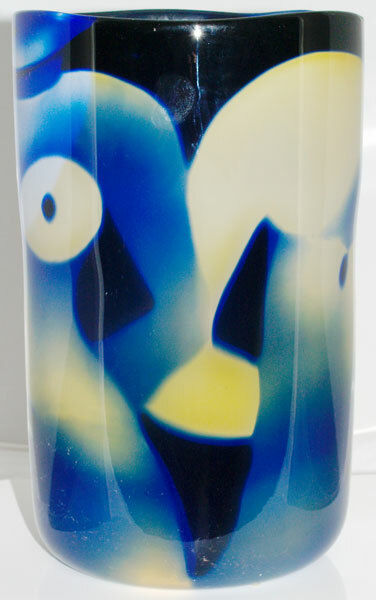 Graal cylinder vase signed ‘Sandstrom Kaplan 87’ and 'Back to Back'. 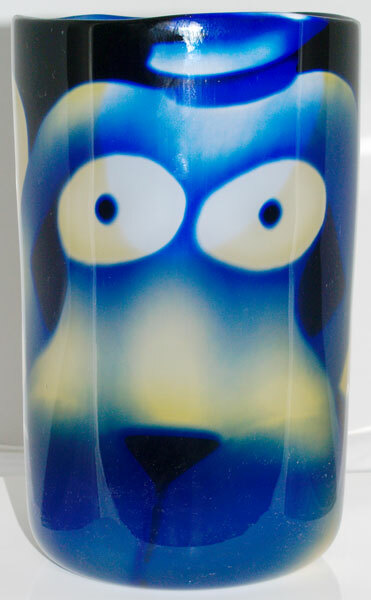 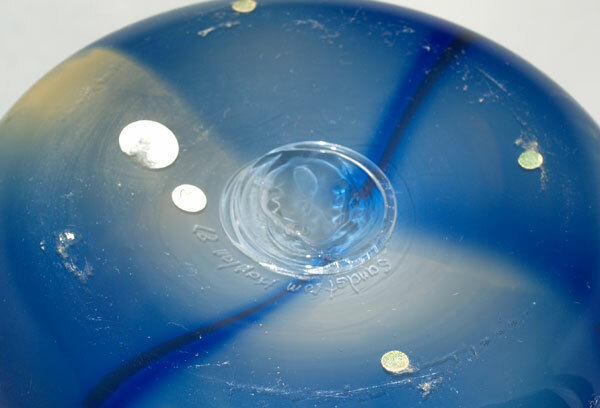 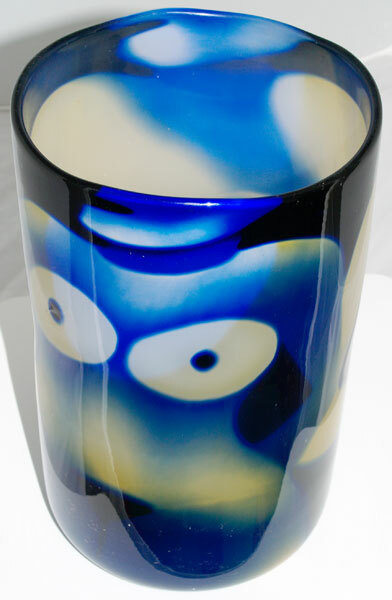 Another ‘Back to Back’ cylinder was exhibited at ‘Scottish Glass Now’, an exhibition at the Glasgow Art Gallery celebrating the Scottish Glass Society's 10th Anniversary. 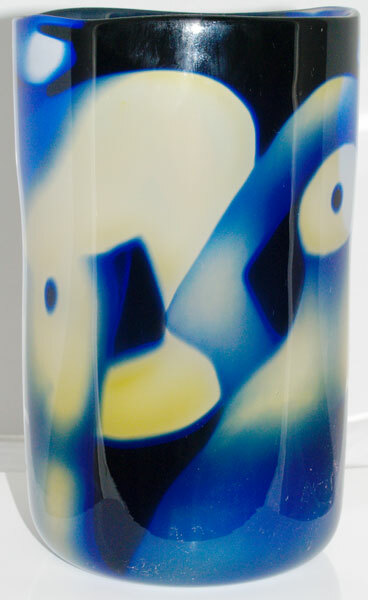 That cylinder was illustrated in black and white and priced at £1,440.